With the MacOS update, my monitor decided to change the colour profile, I suspect. How else to explain that pics I took and processed before update now look completely overburnt, yet the pages in Chrome look brighter? I did the recalibration, but my laptop and I are disagreeing on the location of the neutral white spot, so I have no confidence about the look of these pictures on a properly calibrated screen. Anyway, this post is not about computers. 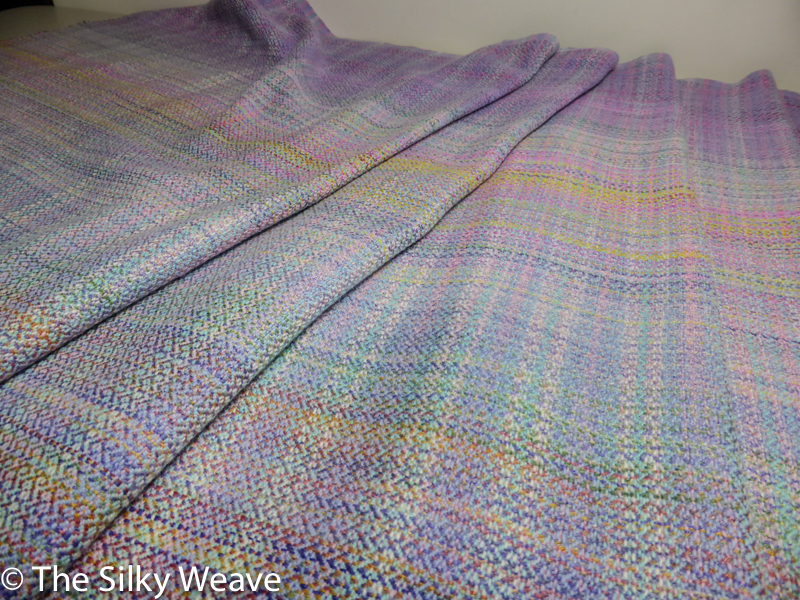 It is about a ring sling piece on the Wedding Bouquet warp. 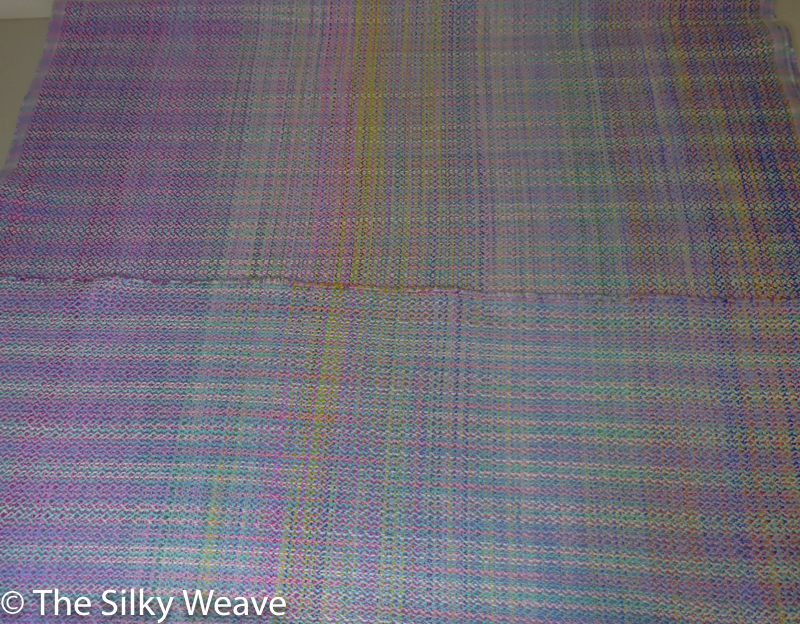 The weft is a variegated 8/2 cotton, from Maurice Brassard, and this piece is going to my Etsy shop. 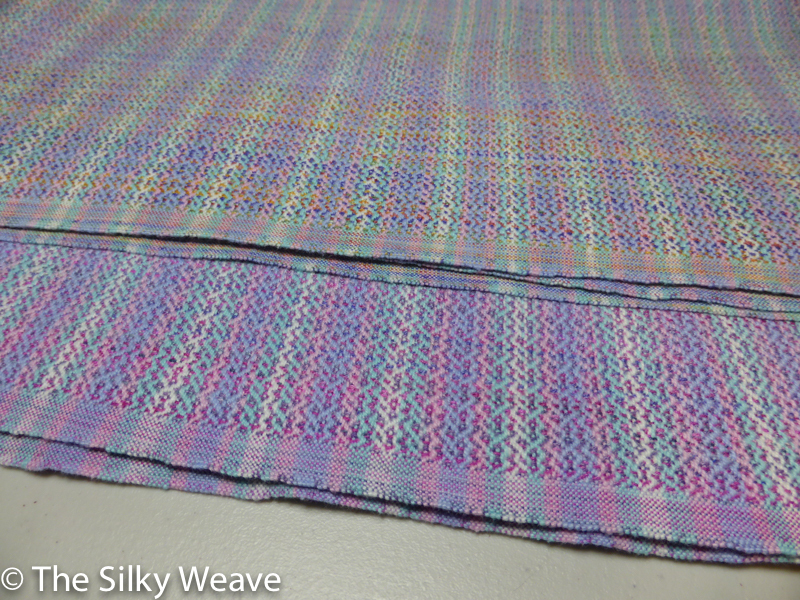 The weave pattern is a variation on a Celtic braid, which to me after a day of weaving started to look like hearts. Well, my perception is biased. 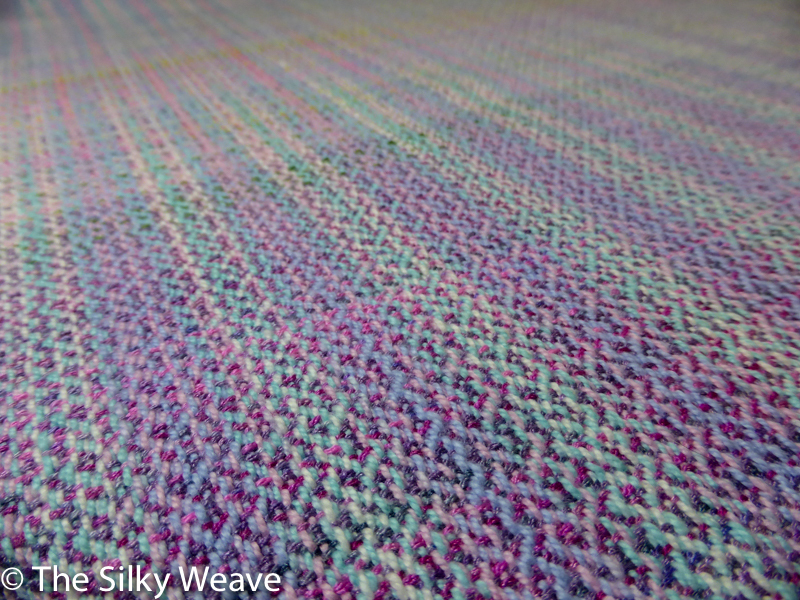 Wide plain weave selvages; unhemmed ends, and 340 GSM. Soft, spongy, lovely to touch. From now on I plan to add a pic with a colour wheel, to give you a better idea of a real-life look (yes, I am now keenly aware of the screen / irl differences, with this OS upgrade). 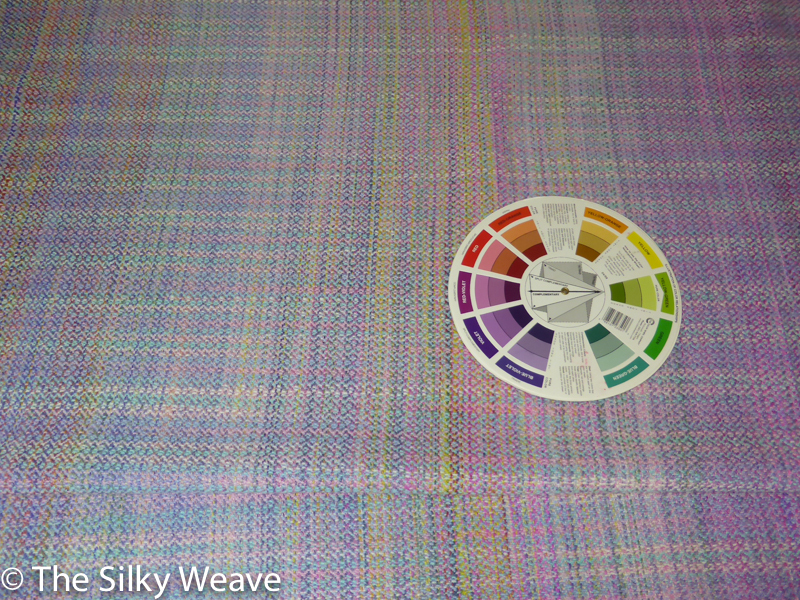 The piece is 70 cm by 203 cm, which should be enough for a medium pleated ring sling. 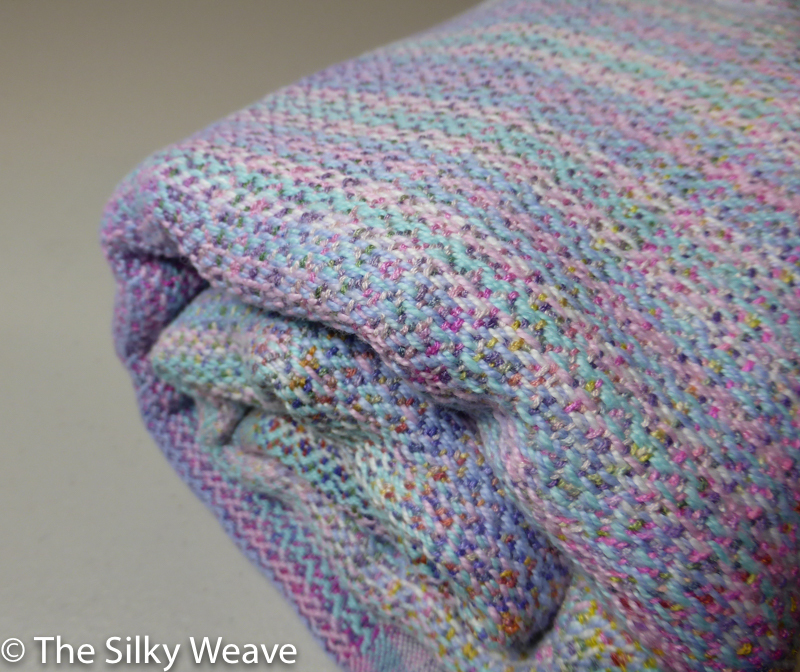 Or you can use it as a baby blanket (or two, if you cut it).